Following Jesus. What's it all about? 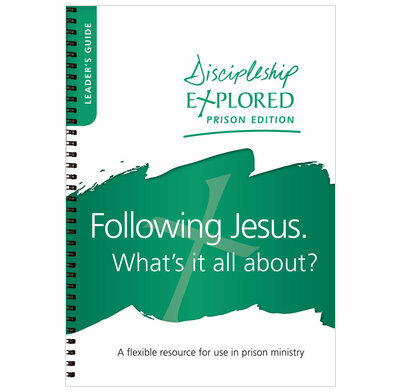 This is a completely new edition of Discipleship Explored, designed for, and extensively trialled in, prison ministry. This starter pack contains one Leader's Guide and one DVD. The Leader's Guide contains everything needed to take a group through the 8-session course. The material is flexible to allow for the range of session times typically offered in a prison – from one to two-and-a-half hours. Note: there is no group member's Handbook for this course.